One Table Two Chairs – Euro-Asia Young Performing Artists Cross-Cultural Exchange and Education Program, presented by Zurich University of the Arts, curated by Artistic Director Danny Yung, is a creative-education platform to advocate cross-cultural exchanges among young performing artists located in Europe and Asia. Young contemporary and traditional performing artists and students from Taipei, Singapore, Nanjing, and Hong Kong will gather in ZHdK for 3-4 weeks to carry out cross-cultural/cross-discipline creative workshops and collaborations with ZHdK students. 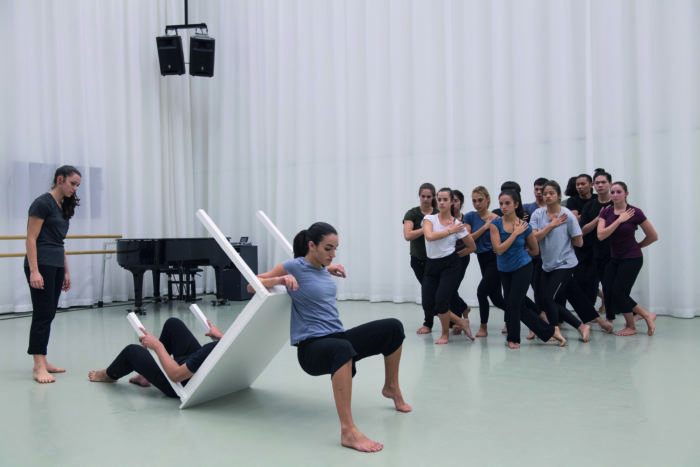 In this program, participants will make use of “one table two chairs” as a platform for creative dialogues, discussions and a way of developing collaborative performance artworks.